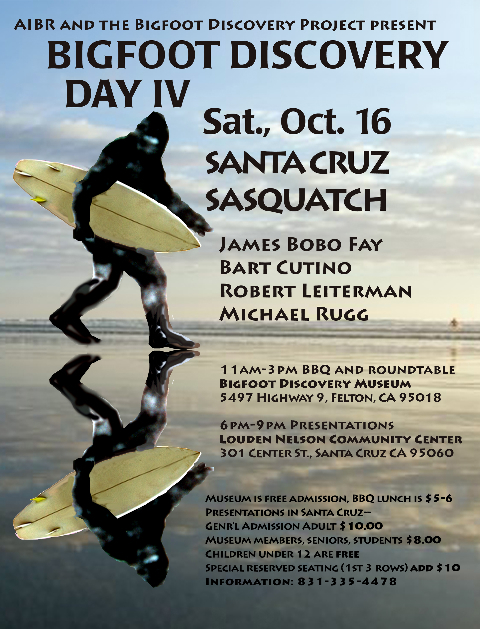 For the fourth year running, Mike Rugg of the Bigfoot Discovery Museum is hosting a bigfoot gathering in the town of Felton, CA. This year, the speaker line-up will consist of Scott McClean, Bart Cutino, and Robert Leiterman. 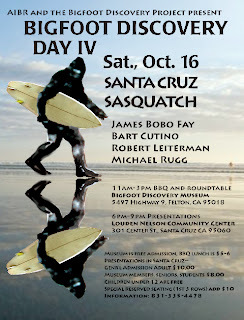 Mike Rugg will also give an overview of his research in the Santa Cruz Mountains. Besides the speakers, there will be raffles, barbecues, meet and greets, eyewitnesses, round table discussions, and more. If you're a researcher anywhere within driving distance, this will be a great opportunity to network with others. 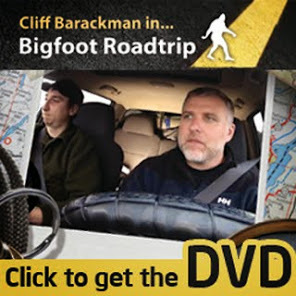 When: Saturday, October 16, 2010 6:00 p.m.
For More Information, Call (831) 335-4478.